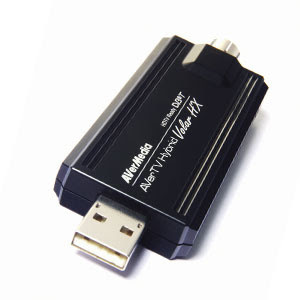 AVerTV Hybrid Volar HX is an external TV tuner. 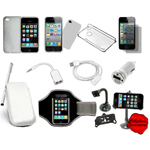 The device belongs to a class of gadgets that can really be surprising. I saw the product on a website of a local computer shop and immediately got interested. One more hour and I was installing the software. Installation was quick and painless and in a couple of minutes I was scanning the TV channels. TV picture appeared quickly, however in the beginning I could not get the audio working. Shortly, we figured out that the problem was in the audio broadcasting format. By default the device has the USA in settings. So, make sure to set it to your location. The quality of the TV was superb. FM radio worked perfectly as well. Unfortunately there is no digital broadcasting in my place and I could not test DVB. But I trust it will work flawlessly. I use Windows Vista Business and the software runs well. Unfortnately there is one annoying message from Windows telling that the software is switching windows to Vista Basic color scheme. If you run Media Center Edition of either XP or Vista, your experience will be even better. The products is Windows Vista Certified. Both 32 bit and 64 bit versions are supported. The software is really feature rich and impressive. It supports one click recording and playback. You can also schedule recordings. Yes, you'll never miss your favorite program with this gadget. The application also supports prevewing multiple channels. For DVB PIP and POP modes are also supported. You will need the following hardware to use this device*. I use it on a 2.0 Ghz Core 2 Duo laptop with 2 gigs of RAM and I experience no delays or freezing. * According to the manufacturer. This is all I can say about this device from a couple of hours of usage. I will post a follow up article in a couple of days. So stay tuned and don't forget to subscribe to our RSS feed. Does it work without external antena? This depends on your location and the strength of the reception signal. To give you an approximate idea, I have tried it at a place with quite a poor reception and with a small in-room antenna the quality was ok. The quality was better than that of a regular TV set with the same antenna. I assume that in places with good signal the quality would be good even with a small in-room antenna. But this is just my assumption. BTW, mine came with this small antenna. But not all models ship with that antenna. guys, have you tried using this device to a psp?